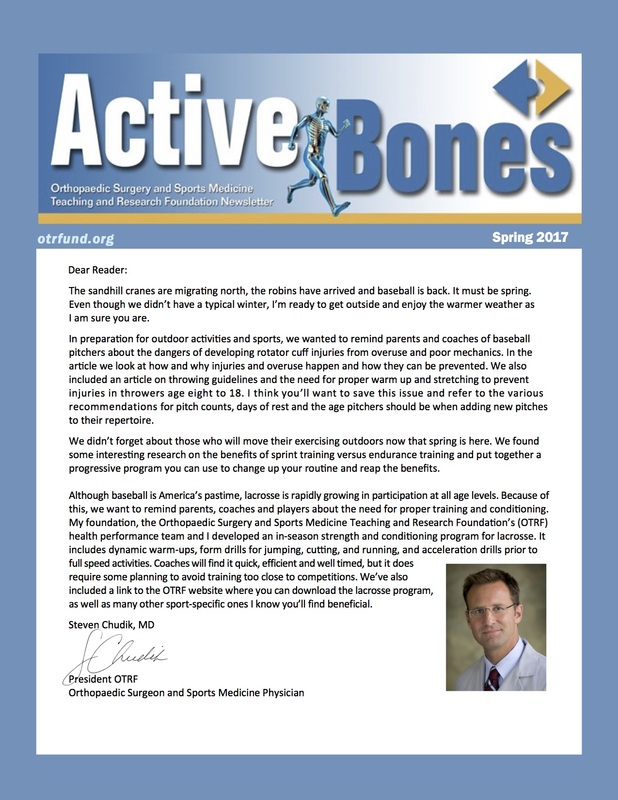 Keeping individuals active and healthy is at the very core of the Orthopaedic Surgery and Sports Medicine Teaching and Research Foundation’s (OTRF) mission. 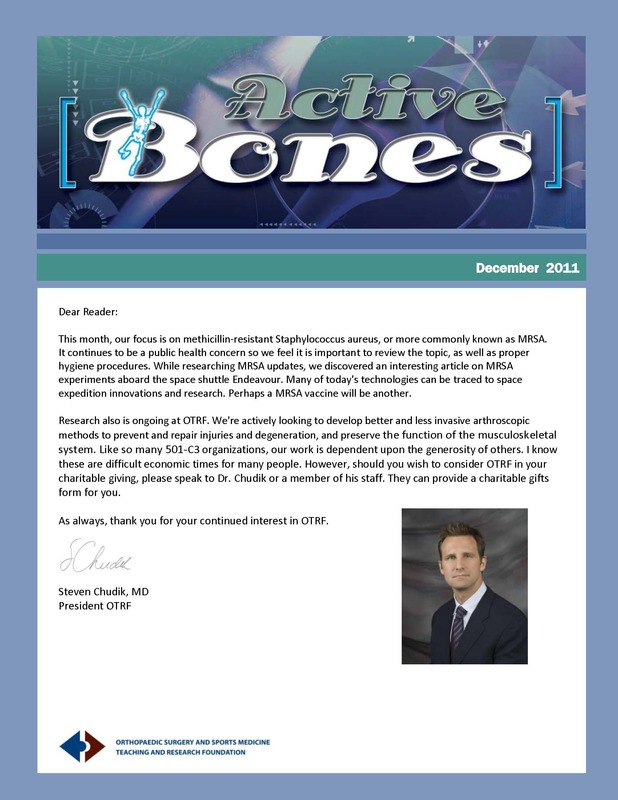 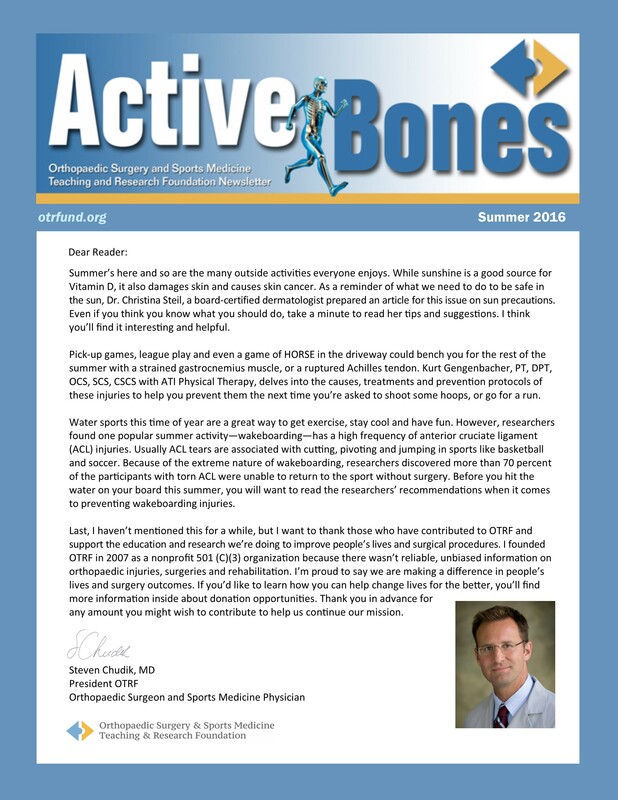 To support that, ORTF produces Active Bones, (formerly LocalMotion) an e-newsletter that provides tips on injury prevention, nutrition, sports conditioning, research and current events. 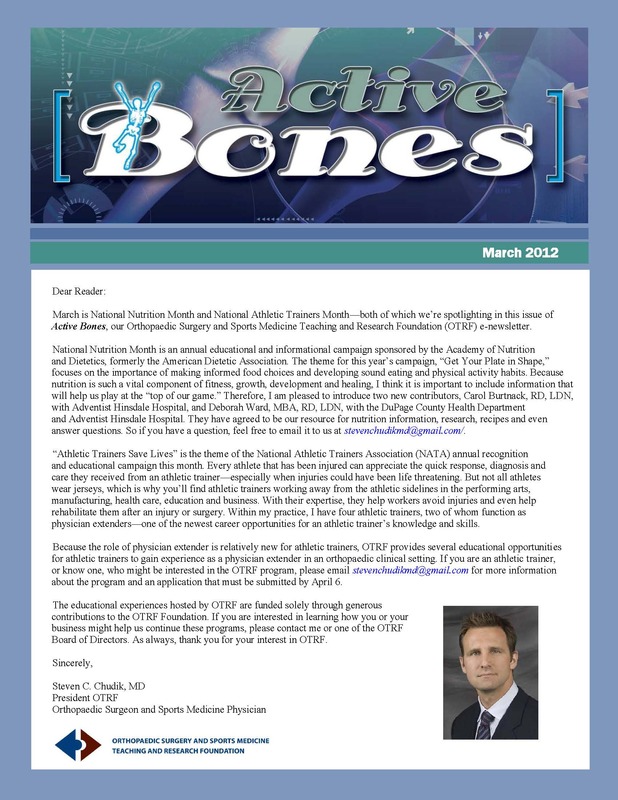 As an added bonus, Active Bones subscribers automatically receive any new sports conditioning programs developed by Dr. Chudik and his health performance team. 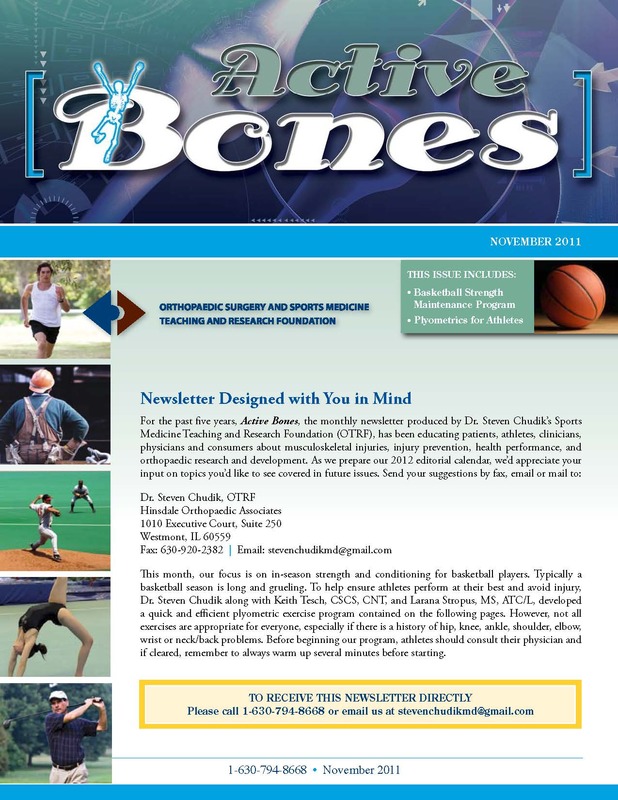 These programs are based on research and proven to help athletes prevent injuries and perform at their highest level and ability. 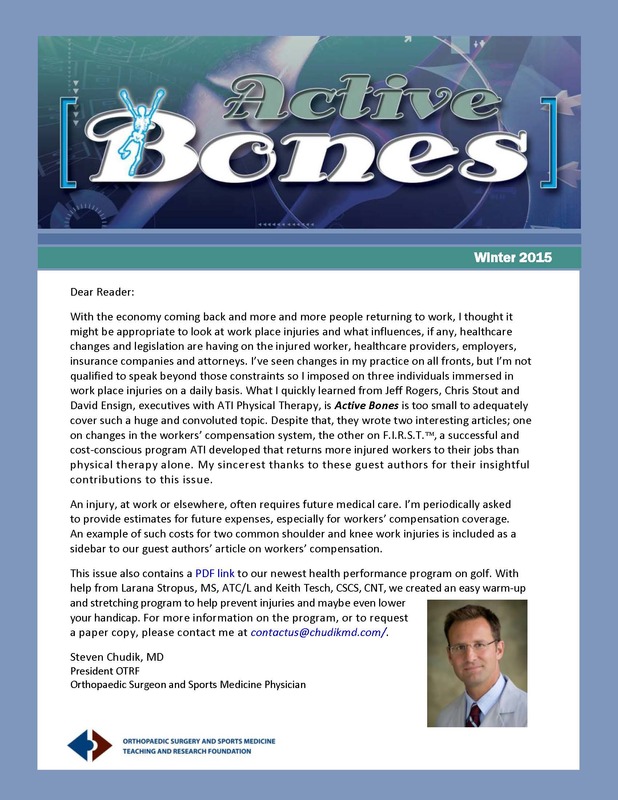 Active Bones also keeps subscribers up-to-date on trending sports and health research such as concussions, caffeine regulations in foods, healthy food choices and recipes, as well as injury-related concerns in workers’ compensation and rehabilitation, and more. Every issue is packed with information you won’t find elsewhere in one publication. 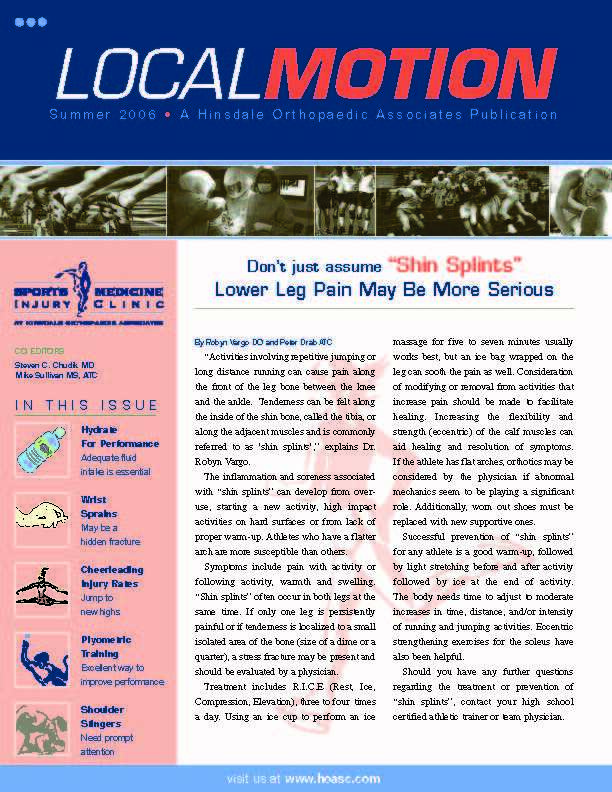 So you don’t miss another issue, email us and you will be added to our electronic newsletter distribution list. 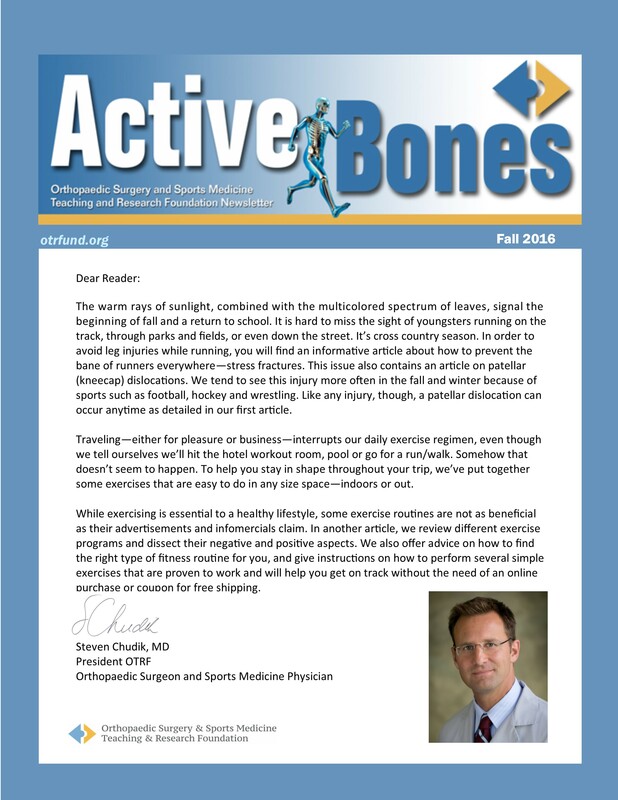 Please make sure you add contactus@chudikmd.com to your list of trusted contacts to ensure the e-newsletter is delivered without landing in your email Spam file. 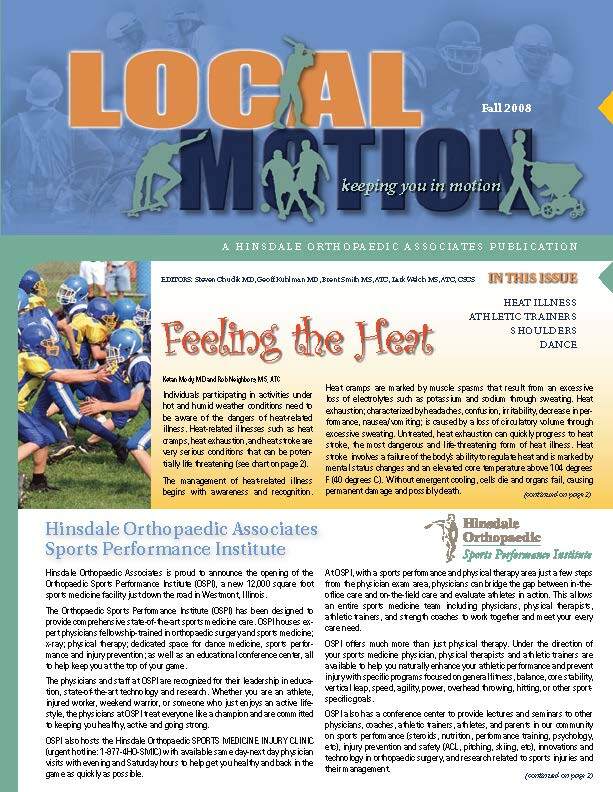 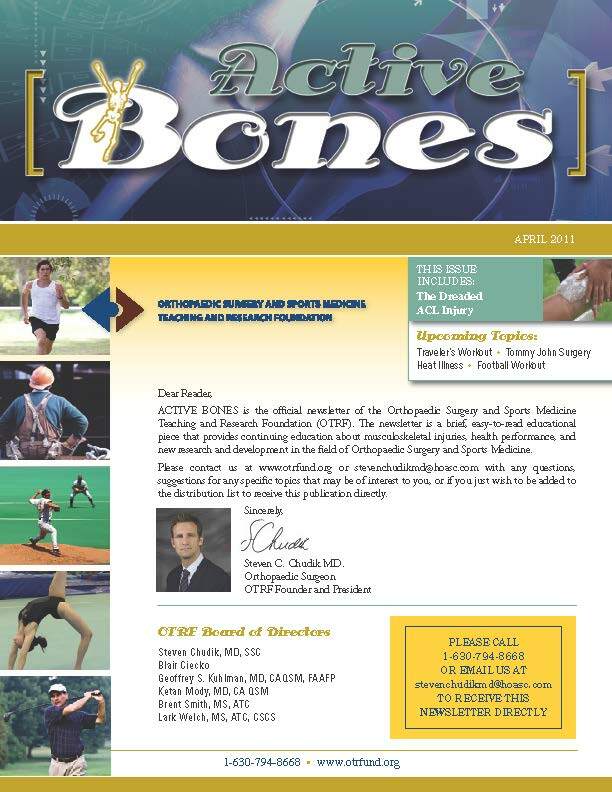 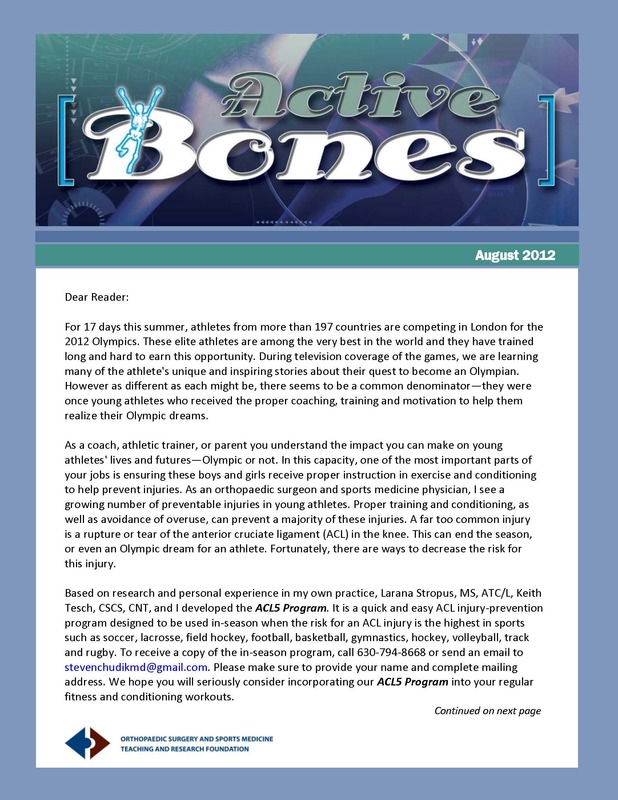 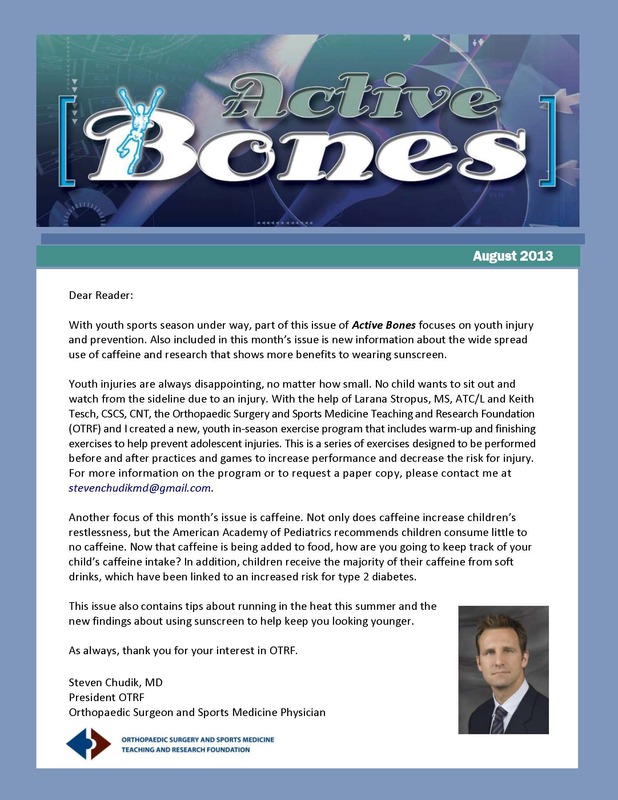 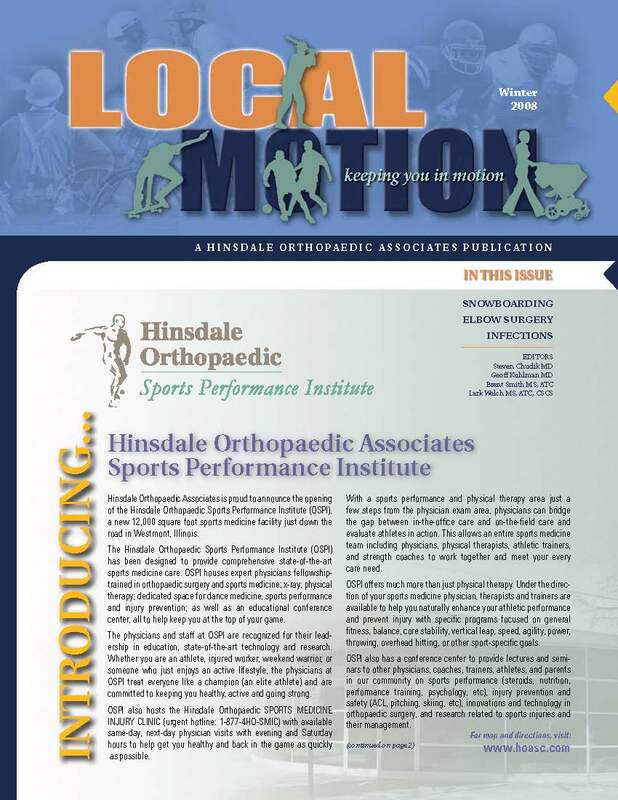 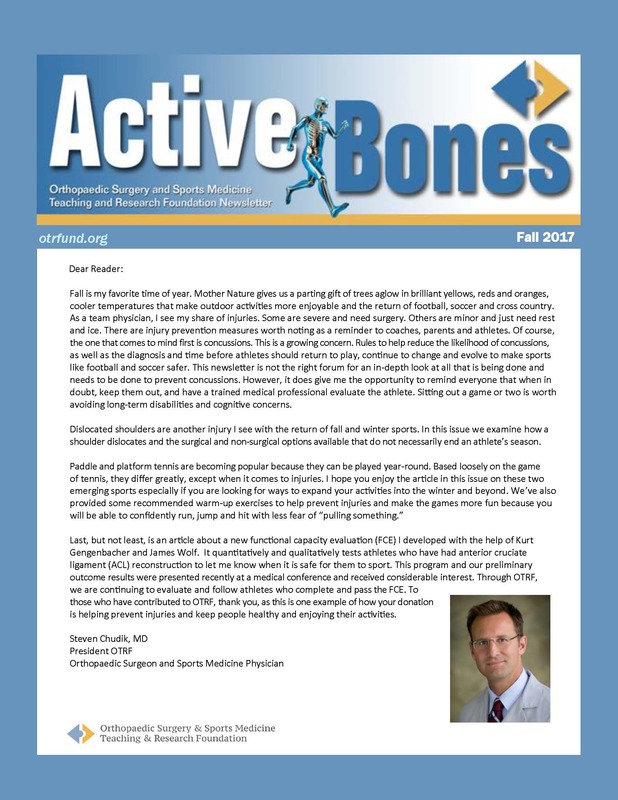 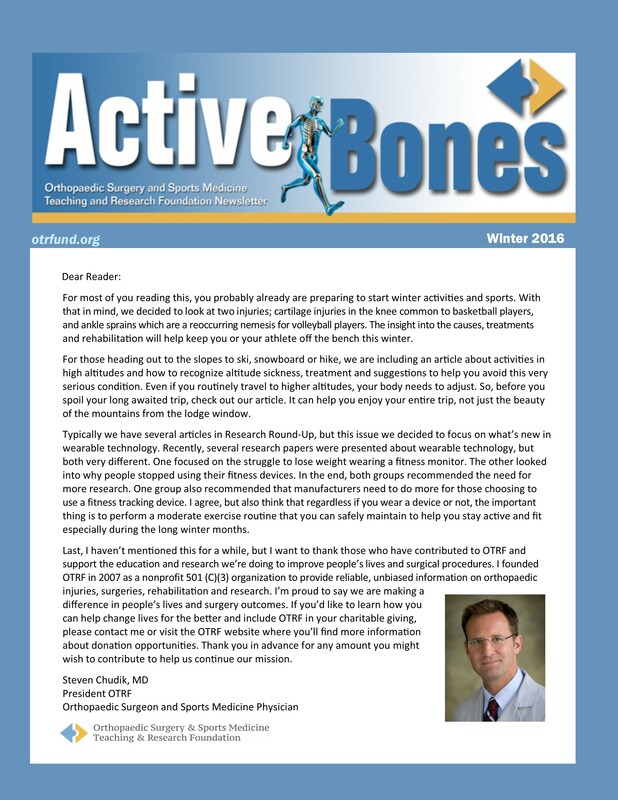 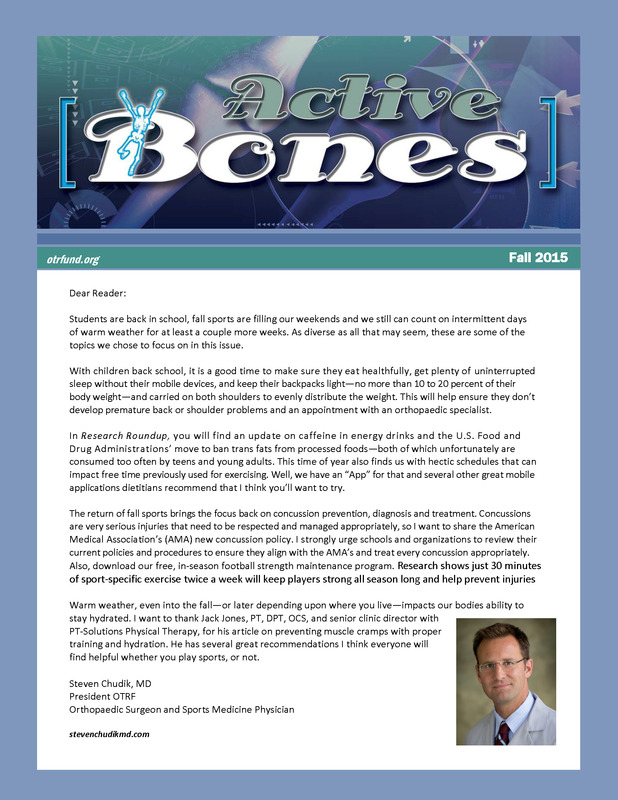 The OTRF e-newsletter, formerly LocalMotion, now Active Bones, was created as a way to educate readers about injury prevention and provide reliable and current information on a host of topics to help keep people active and healthy. 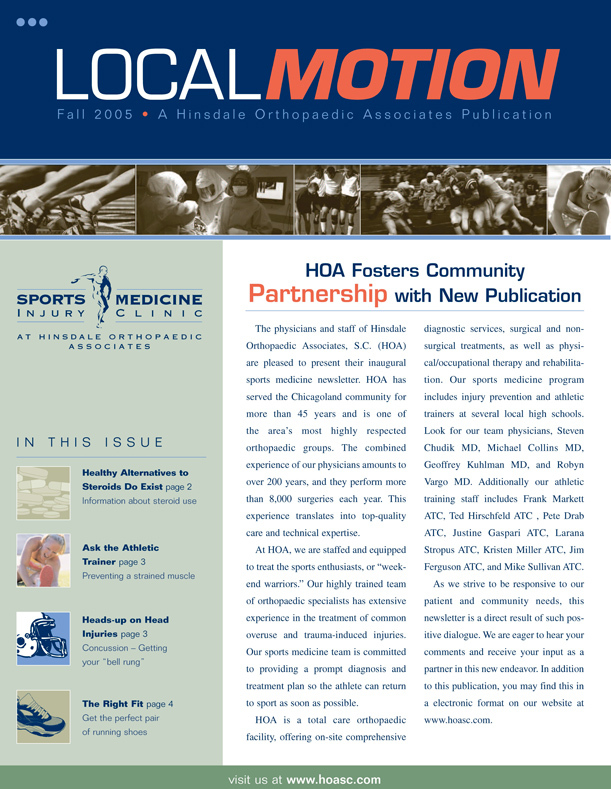 Past issues are archived here for you to read and share. 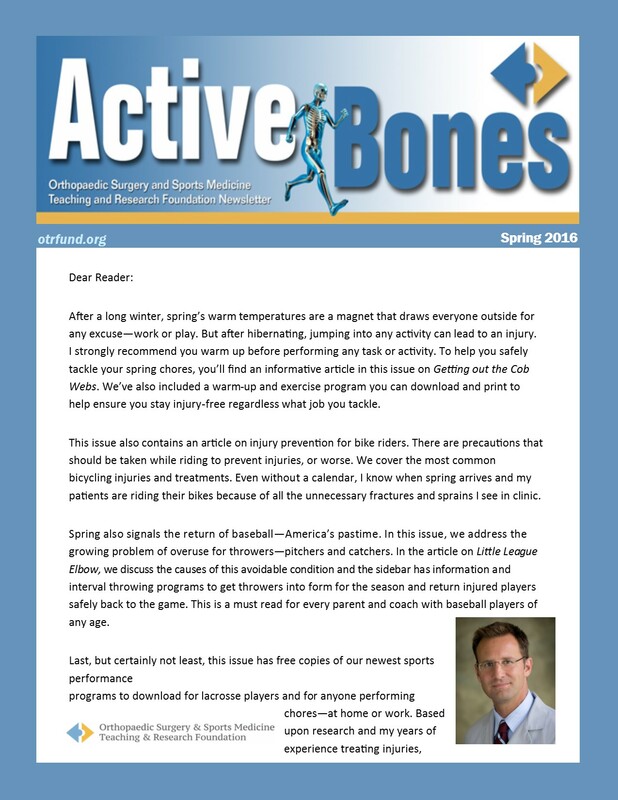 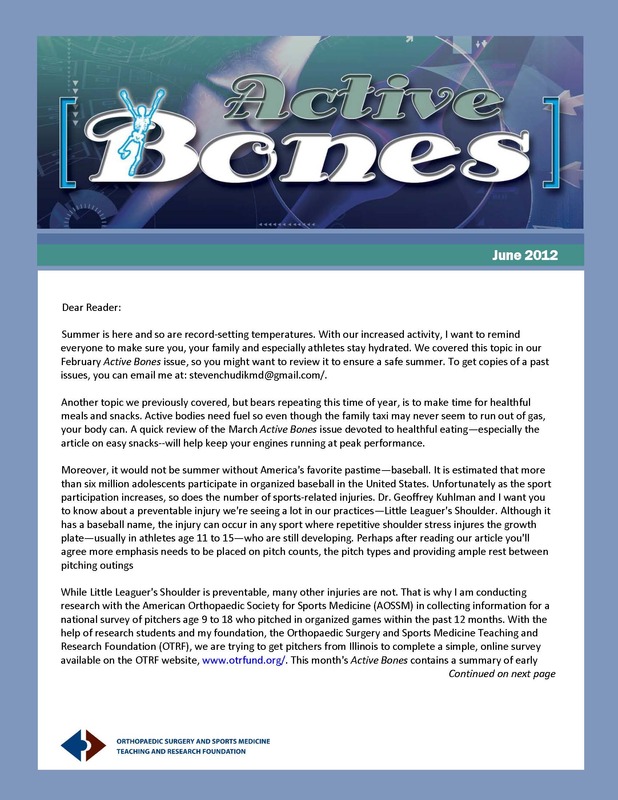 Click here to subscribe to this free resource and future OTRF sports conditioning programs that periodically accompany Active Bones mailings. 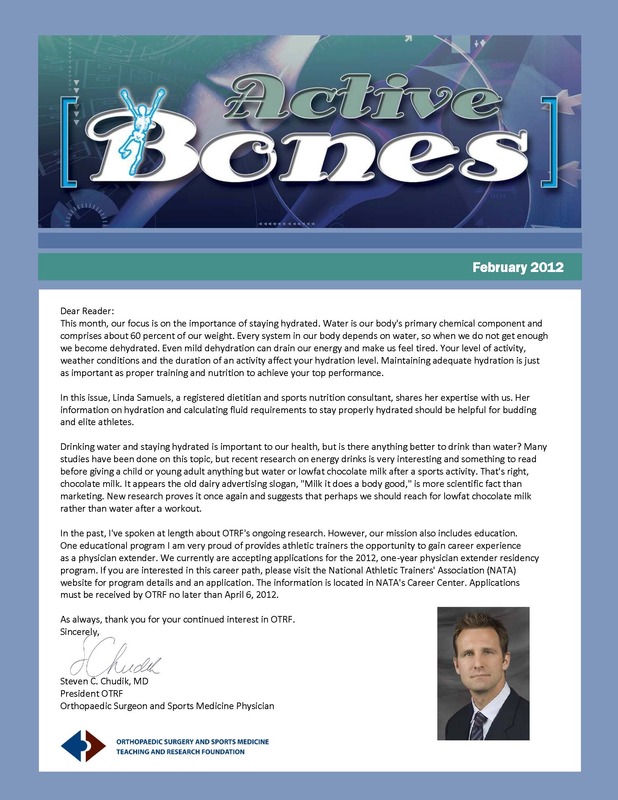 Is there a healthy alternative to steroids?